DENVER -- Fans were lining up before 6 a.m. Thursday to buy new Broncos' jerseys when the doors opened at the team store at Sports Authority Field at Mile High. Nike replaced Reebok this year as the official supplier of NFL team uniforms as well as team hats and other apparel for fans. AURORA — After staying overnight at a Cherry Creek hotel, President Barack Obama departed Buckley Air Force Base around 9:15 a.m. today. Walmart is looking to hire 400 workers for five new Walmart Neighborhood Markets that will open this summer in the Denver Metro Area. Arvada, 9989 W. 60th Avenue, Suite 250, Arvada, CO.
Centennial, 2620 S. Parker Road, Suite 220, Aurora, CO.
Littleton, 3625 W. Bowles Avenue, Unit 14, Littleton, CO.
Denver, 12000 E. 47th St, Suite 402, Denver, CO.
Lane closures scheduled on Arapahoe Rd. Reconstruction along Arapahoe Rd. 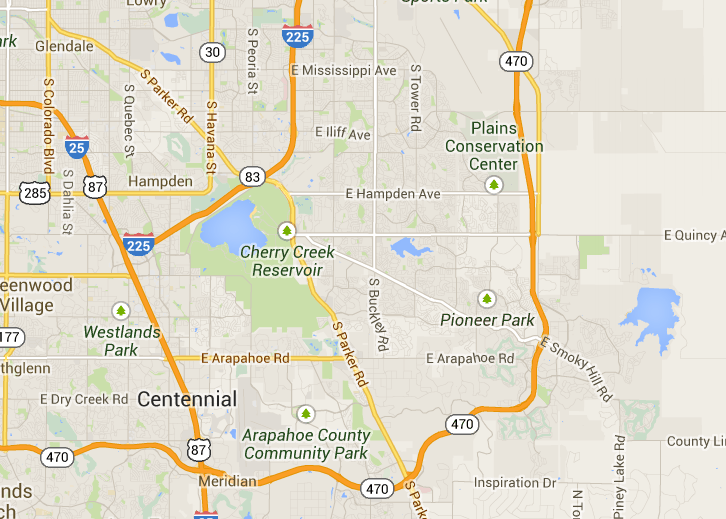 comes with lane closures Starting Monday, April 9 reconstruction of Arapahoe Rd. between Holly St. and Krameria will be underway. One lane will be closed in each direction along this stretch of Arapahoe Rd. until July, weather permitting. Work will take place from 7 a.m. to 7 p.m. Monday through Friday. Brannan Construction will be completing this project. Traffic control will be in place. Alternate routes are strongly encouraged. Please slow for the cone zone. Fines will be doubled in this area, as it is a construction zone. For more information about this project please call the City’s 24 Hour Call Center at 303-325-8000. Gardens - The Denver Post. AURORA The largest family-owned and operated bottled water company in the nation is set to establish a production and distribution facility in Aurora and bottle the citys water, pending Aurora City Council members approval of an incentive package on March 5. California-based Niagara Bottling would construct a 177,000 square foot facility at Prologis Park 70 near E-470 and I-70 and create 36 full-time jobs while investing about 10 million for land and building improvements and 20 million in capital equipment, according to city documents.Aurora water would be used for bottling and the company would pay market rate for the water, said Mayor Steve Hogan in an email. via Aurora water may be sold to California-based bottling company - Aurora Sentinel: Top Stories. Tuesday, March 6 from 6 a.m. to 9 a.m.,McDonald’s giving a free breakfast to kids in grades 3 to 5. While supplies last. They get an Egg McMuffin with a choice of milk or small Minute Maid orange juice. This is for the (Transitional Colorado Assessment Program) The offer is for students under 11 years of age and they MUST be accompanied by a parent or guardian. Aron Ralston, the outdoorsman famous for cutting off his own arm in a Utah slot canyon and a graduate of Cherry Creek High School, will be the keynote speaker at the Cherry Creek Schools Foundation Luncheon on March 15.Tickets for the 18th annual fundraiser are $100. Proceeds will go toward supporting the Cherry Creek School District by funding programs that benefit students and teachers alike.Initiatives that the foundation has directly aided include AVID (Advancement Via Individual Determination), Reading Together and Everyday Math. Since its inception 18 years ago, the foundation has disbursed more than $7 million to the school district. Ralston graduated from CCHS in 1993. A decade later, he found himself pinned by an 800-pound boulder deep in a Utah slot canyon. He cut off his crushed right arm with a pocketknife to escape and has subsequently traveled as a motivational speaker. South East Aurora has been the target of more than a few robberies recently. The Subway and Radio Shack and Iliff and Buckley and the Cold Stone Creamery at Quincy and Buckley. Due to the recent completion of the Whelan siren narrow band project and front panel upgrades, the Aurora Office of Emergency Management will perform an audible test of the system on Friday, March 2 at 11 a.m.